When most of us see or hear the word “wellness,” we think about physical health usually related to diet and exercise. But what if we took a broader view, one of well-being? Physical health would then become just one part of a greater whole in creating a balanced lifestyle. And other aspects of well-being, such as financial health, would be just as critical and also linked to physical, emotional, mental and social well-being. Employers benefit from addressing the broader definition of well-being. Humana, a leading health and well-being company, is helping employers do just that. Locally, the effort is led by Victoria Coley, Humana’s Employer Group vice president, who is based in Phoenix. Victoria and her team help guide employers so they can in turn lead their employees on their well-being journey. After all, employers can positively impact medical claims by supporting employees’ health. “The benefits of providing a more comprehensive well-being strategy includes improved employee satisfaction and retention, positive culture, increased productivity, fewer absences, lower operating costs and better financial results for the employer,” Coley said. Coley stressed that Humana’s success has in large part been credited to its Go365® program, which is available with Humana’s employee benefit plans or as a standalone offering. The wellness and rewards program encourages each employee to achieve a healthier lifestyle by using behavioral economics, personalized goals and incentives to motivate positive changes in each employee’s life. Through the Go365 program, employees are encouraged to participate in health and wellness initiatives and to take action to improve their well-being with health screenings, flu shots or step challenges. These activities can help them earn Bucks, which they can redeem for rewards like e-gift cards, apparel and fitness devices, charitable donations and discounts. Coley is a big part of that effort as she has an extensive background in the employee benefits industry with 19 years of experience, 17 years of that with Humana where she’s held multiple sales and leadership positions. Prior to joining Humana, Coley worked at Target Corporation as an executive team leader in human resources. Coley’s efforts in the employee benefits industry from both the carrier and employer perspectives have given her a multifaceted view of employee benefit finance, strategy and communication. In addition, Coley is a civic adviser and volunteer through professional boards, associations and charitable trusts such as Humana’s Women’s Network Resource Group, local and national associations of health underwriters, board of directors for the Glendale Chamber of Commerce, Southwest Human Development’s Gatsby Sports and various wellness councils. She’s a graduate of Valley Leadership Class 37 (2016) in which she lead a team project to increase literacy in the community by collecting, sorting and distributing 10,000 books through the Little Free Library project. 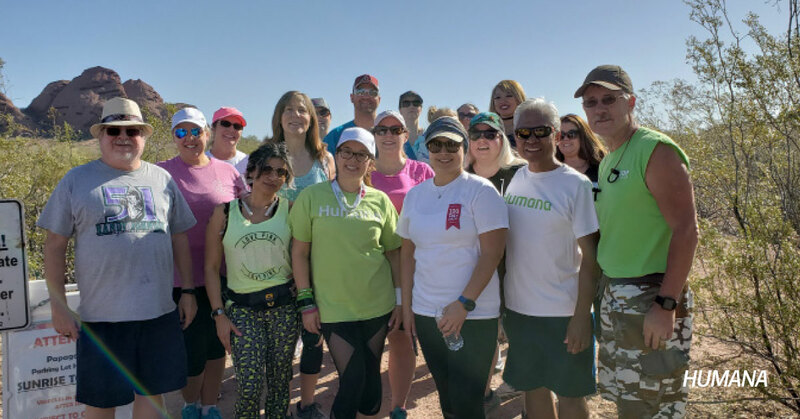 For more information on Humana’s employer and wellness offerings please call (602) 760-1700 or visit HumanaWellness.com.